The first Progress cargo ship of the year arrived at and docked with the International Space Station (ISS) Saturday afternoon, marking the second of three spacecraft planned to visit the outpost in as many weeks. 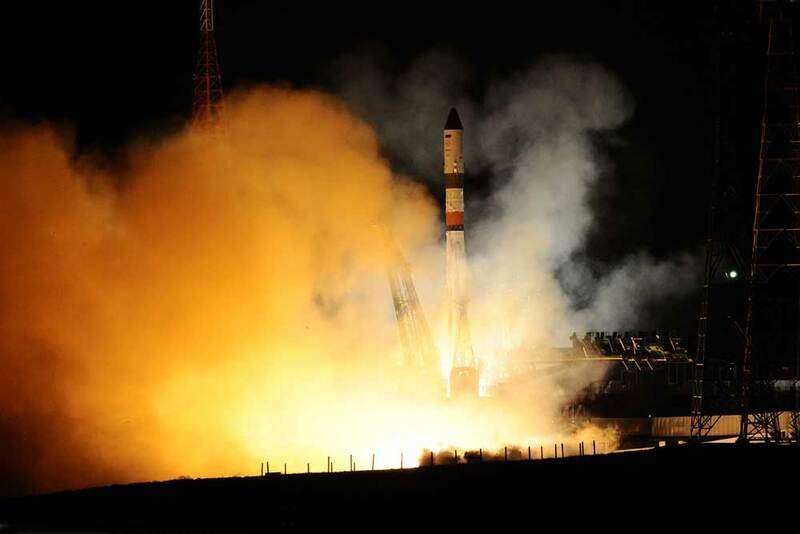 A Soyuz 2.1a rocket launched Russia’s Progress MS-2 on March 31. After a two-day trek to the ISS, tally-ho was called at about 12:30 p.m. CDT (17:30 GMT) April 2 as the crew aboard the space station visually spotted the approaching spacecraft. 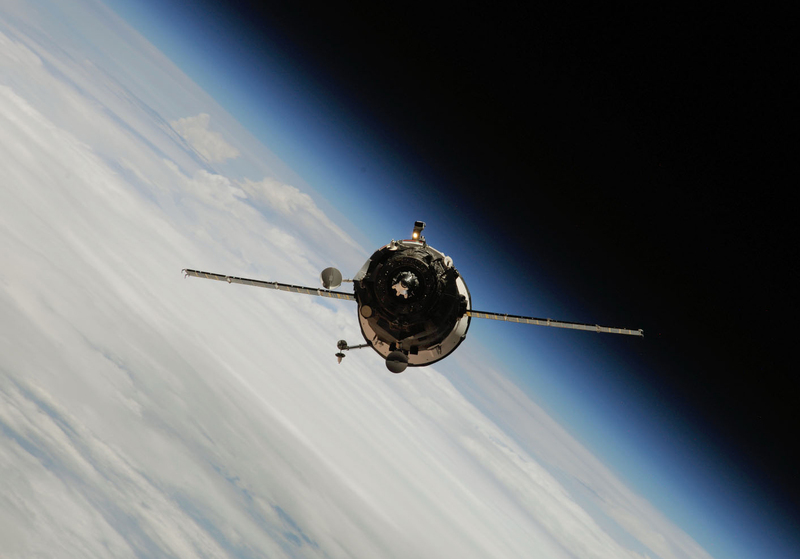 Less than 30 minutes later, the cargo ship aligned with and autonomously docked to the aft port of the Zvezda service module. “Congratulations on a successful docking,” Mission Control in Moscow radioed to the Expedition 47 crew. Contact was made at 12:58 p.m. CDT (17:58 GMT) while the space station was 250 miles (402 kilometers) over Astana, the capital city of Kazakhstan. It took about five minutes for the docking probe in the front of the Progress to completely retract and for the docking hooks to close, forming a “hard dock” between the spacecraft and ISS. Hatches between the two vehicles will be opened later on Saturday. The vehicle brings with it more than three tons (2.7 metric tons) of food, fuel, and supplies to the outpost. Over the next couple of months, the crew will unload and store the much-needed cargo. It will remain attached to Zvezda for about six months before being undocked and de-orbited with thousands of pounds of unneeded equipment and trash. Progress MS-2 is the second vehicle in the MS-series of cargo ships—the first being MS-1. Both ships are now docked with ISS and are testing upgraded antennas and flight control systems, among other things. They also sport a new digital television system to allow for TV transmission via the onboard radio channels. This successful docking clears the way for an upgraded Russian Soyuz spacecraft to launch in June—Soyuz MS-01. In advance of the arrival of Progress MS-2, the crew did their usual maintenance and cleaning duties on Friday, instead of Saturday. This freed up more time for the crew to focus on monitoring the autonomous vehicle as it approached the $100 billion facility. Commander Tim Kopra was tasked with scrubbing the cooling loops inside the U.S. spacesuits before installing new gear inside the Combustion Integrated Rack research facility. Additionally, Jeff Williams set up equipment for an experiment researching new exercise techniques for long duration spaceflight. Meanwhile, British astronaut Tim Peake swapped hard drives in a laptop computer that is recording data collected for a the Alpha Magnetic Spectrometer. With today’s docking, there are now five visiting vehicles docked or berthed with the space station—two Progress, two Soyuz, and Orbital ATK’s Cygnus cargo ship. They will be joined by a sixth vehicle, a SpaceX Dragon cargo ship, late next week. This will mark the most vehicles to be attached to the orbiting outpost since the end of the Space Shuttle Program in July 2011. The CRS-8 Dragon will launch on April 8 atop a Falcon 9 rocket, and will berth with the nadir port of the Harmony module two days later. The capsule will carry with it the Bigelow Expandable Activity Module (BEAM)—the first expandable structure to be attached to ISS. BEAM will be attached to the aft port of the Tranquility module where it will remain for two years to monitor structural integrity, leak rate, radiation dosage, and temperature changes.